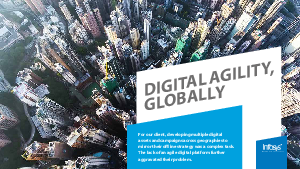 For our client, developing multiple digital assets and campaigns across geographies to mirror their offline strategy was a complex task. The lack of an agile digital platform further aggravated their problem. As a large pharmaceutical company with operations in virtually every country in the world, and a portfolio of well-known brands, our client had to develop and maintain several websites and digital assets to support regional launches and campaigns. However, each one was treated as a separate project which raised several challenges.